Reid Business Services is a Vancouver supply company for business who services clients all over the nation. The old website design was nothing but a single splash page made up of images and not actual text which probably hurt RBS’s credibility rather than helping it. Fastech Solutions was hired to create a web design for the corporate supply company that enhanced the products and services they provide rather than detracted from it. 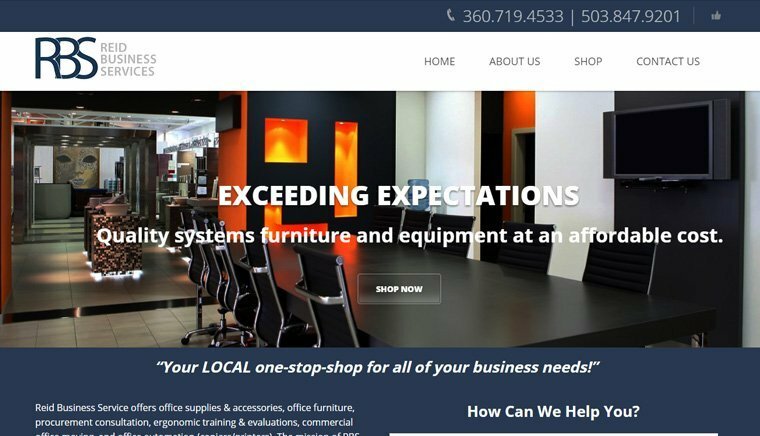 The end result is a website design that resonates with corporate influencers and decision makers in need of a company furniture and supply source.